This book tracks down some of the connections between the anatomy of the human body to some of the ancestors of mammals and other land-living animals. It contains snippets from paleontology, genetics and anatomy, with quite a lot of new words if you’re usually not reading books of this type, but everything is explained well enough to make concepts understandable and you’ll be able to get the main points with little knowledge of paleontology and anatomy, the genetics part might stay a bit blurry without any previous knowledge though. It was a fascinating book for me as I found out a lot of things that I didn’t know before or hadn’t heard of. For example you can read about the evolution of limbs – starting with fish and continuing with reptiles and mammals with the main focus on the link between fishes and reptiles and about a species that lived about 375 million years ago, called Tiktaalik – that has some reptilian characteristics but is essentially a fish. This theme continues with one part of the human body or another – teeth, eyes, etc. Shubin shows some of our distant relatives, how they are different but also how they are similar to us. There’s some history in the book and you can also read about how some of the fossils were discovered that are discussed in the book. It is a rather short book and a quick read once you get started. Although there was a myriad of strange words in it (as I didn’t learn biology in English, but the words would be familiar to those who did) I found it enjoyable and interesting. 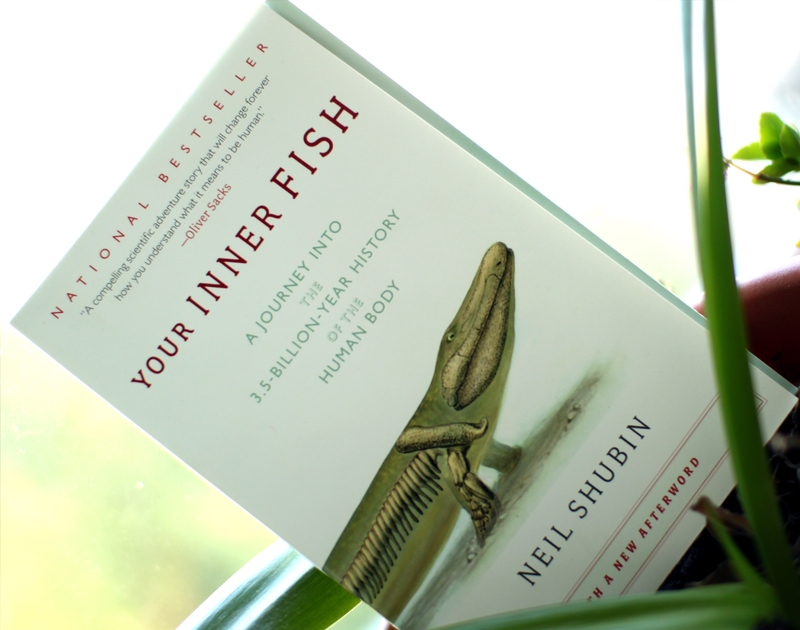 This entry was posted in Non-fiction and tagged biology, book review, books, genetics, Neil Shubin, paleontology, Your Inner FIsh. Bookmark the permalink.